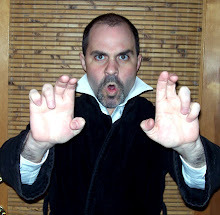 Dave's Long Box: It's Clean Underwear Tuesday! Clean underwear! Each Tuesday I pull out all the stops for the sake of odor and hygiene. It's a big hit with my co-workers. It's time for another lame space-filling picture post! 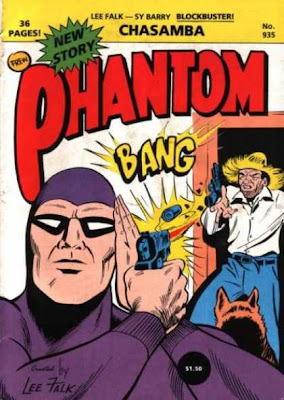 Here are a few Phantom covers that I have to post because I find their radness compelling. I found them at Cover Browser, my new favorite site ever. They have a metric assload of scanned covers and you will waste an entire afternoon at work looking at them. Check it out! The Phantom dispatches a straw hat-wearing thug with a contemptuously casual over-the-shoulder shot while his pet wolf Devil eats the guy's crotch. OWNED! 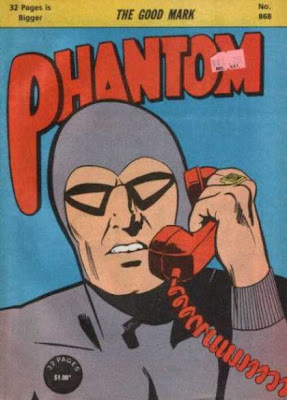 The Phantom just wants to know where his order is. He paid for the two-day delivery and it's not there, and if you can't help him then The Phantom would like to speak to your supervisor. Last Phantom cover, I promise. This one speaks for itself, I think. HELLOES 2 U!!! 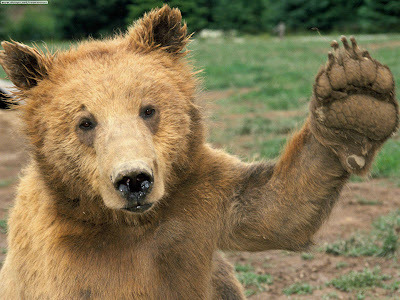 I M FRENDLY BEAR!!! And finally, one of those dog alien guys from The Fifth Element. I loved those guys, they were the best part of the movie. I want a movie just about a pack of those guys getting in trouble and shooting things. "32 pages is bigger" than what? I don't know that I would want to fire a gun that close to my ear, even if my other hand was covering said ear up. Haven't you heard, Dave? Robots are the new kittens! Man, that cover where he's talking on the phone? Action-packed! "The Phantom: Check Fraud! Part 4 of 4, the thrilling conclusion!" 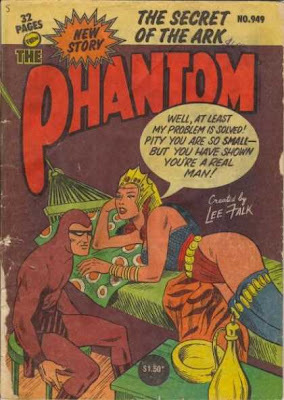 I'm kind of curious what was meant on that last Phantom cover. I'm suspecting that the queen is supposed to be a giant, but the perspective is all messed up. If, however, that's a "It's not how big it gets, it's how MEAN it gets" joke AND a statement about the size of the Phantom's lunchbox...um, well, the best I can come up with is a Billy Zane joke. Man, you need to check out the worst album covers on that page. Wow. Poor Phantom. Apparently, eyeballs aren't the only organs he's a-lackin'. I'm afraid to ask how he made up for his ...shortcomings. He had a dog for that, didn't he? very nice blog concept. i really like :) where do u get such ideas? 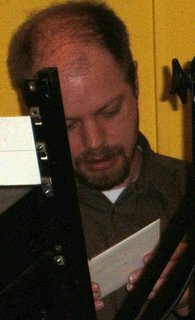 I was so disapointed in the Fifth Element, it had absolutely nothing to do with boron. thanks for making my morning a bit more surreal. Aw gee, the Phantom does look a bit dejected on that last scan doesn't he? No little blue pill in those days, eh? 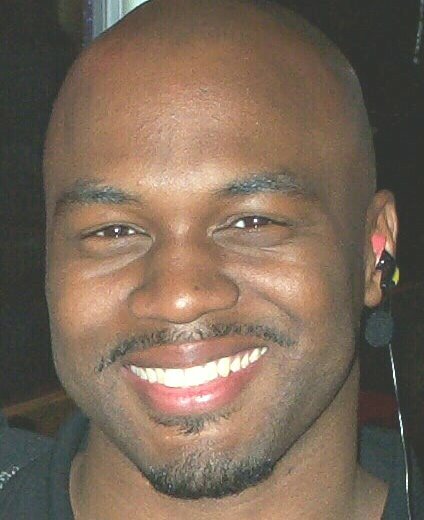 Frew is the weekly publisher of Phantom comics in Australia. Sadly their covers haven't improved much, but being printed weekly on newspaper stock, but with distribution in major newsagencys, service stations, supermarkets and various other mainstream outlets, it makes it one of the most enduring comics in the Australian market. And at a price that's nearly a third of the cheapest Marvel/DC book you'll find, that's a pretty good deal!